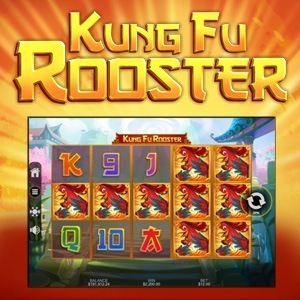 Just in time for the Chinese New Year, we’ve got a new online slot game from our friends at RealTime Gaming, Kung Fu Rooster! This 5 reel, 12 variable payline, video slot game is full of all the impressive features RTG is known for, plus more! 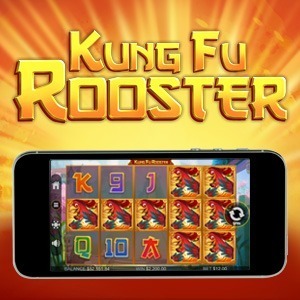 Carrying the theme of a kung fu fighting rooster, this kickin’ game is sure to get your blood pumping! Celebrating 2017 as the Year of the Rooster, Kung Fu Rooster features a (you’ve guessed it) rooster who has set out to fight his way to victory, in order to fill your pockets. This slot is all about sweeping away any ill fortunes and bringing you the best of luck, so make room for prosperity as you play on either a desktop or mobile device. 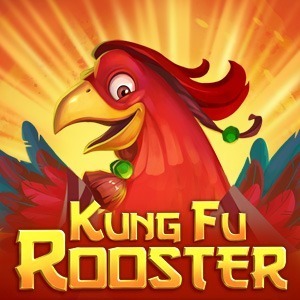 Though lacking a jackpot, Kung Fu Rooster has some very exciting features, and with a coin size within anyone’s limit, you can win up to 50,000x your bet, per line. Make sure to keep a lookout for the highlighted symbols, including the wild Rooster and the scatter symbol Monkey. The wild Rooster counts for every symbol, except the White-Haired Monkey who is responsible for triggering the free spins rounds. This will activate 25 free spins, and also contains a very special feature, the Fire Claw Multiplier. This feature awards a prize of 1x on the 1st free spin, 2x on the 2nd, and continues on increasing during the subsequent spins, giving you incredible winning chances. With such lucrative opportunities, the Year of the Rooster is bound to be a great one! 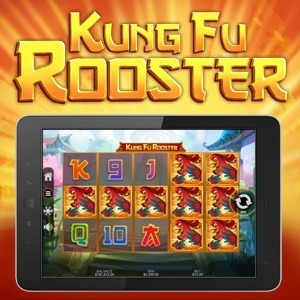 This online slot is available on Download, Instant Play and Mobile, so get ready to play Kung Fu Rooster today!